Your palets look perfect. How smart to reduce the sugar in the cookies. I ended up making a thinner icing because I thought they were sweet enough as it was. Nice meeting you, Joyce! Hi Joyce, I was browsing for local food bloggers and i came across your blog and all i can say is "Wow"...love your recipes and pictures as well. I was hoping if you can post some of your scrumptious recipes on my food portal at www.fooddit.com. 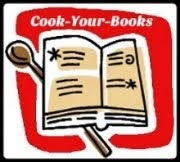 It is a newly launch recipe portal we could use some great recipes such as yours. Appreciate your support ~! Cheers~! Yup, these are good. Love the looks of your, yummy! Baked this for Dorie's birthday do! Waiting for my copy of the book to arrive! Joyce, so glad you've joined up! Your cookies look so thick and tasty!!! Perfectly done! Joyce, It will be nice baking along with you on Tuesdays! Your cookies look perfectly beautiful and yummy! I really enjoyed them with my cup of afternoon tea! Happy Tuesday! Loved these with a cup of tea. Yours look great! Oh I've never heard of these before, but they look absolutely delightful! Yumm. I thought the sweetness was just right too - hit the spot. Yours looks great! These are just lovely! So glad you'll be baking along with us! They look like a perfect companion for coffee. Yum! Now that's a perfect cookie. You can almost taste the lemon just by looking. These look delicious! So glad you've joined in with the group . Love the height (and everything else) you got on your cookies. Mine were a bit on the thinner side, though as I nibble one along with my coffee while leaving comments...I am still not complaining:) Nice to join the new adventure with you. Your cookies look perfect! I especially love your photo showing the insides, brings back delicious memories of biting into mine! So happy to see you in the group, Joyce....we'll have lots of fun baking together. We're off to a great start, aren't we; these were delicious cookies! What great cookies and I'd really like to have one now with my cup of coffee! They look delicious and I will be checking out the cookbook. Have a good week! at 1st I thought is kuih :p. these cookies look so special, nice. Do excited to be baking along with you! :) It is fun to have all of the books in the series to bake out of. Glad these turned out so nicely for you! You are absolutely right. This book is beautiful and your cookies are too! I love Baking Chez Moi, too. I'm looking forward to baking through the book with everyone. Yours turned out perfectly! I wish I had some left to munch on while I'm looking through everyone's posts - it's making me hungry! Yours look so perfect!! You got such nice round palets! yes--maybe this is the next best thing to going to france? great to see you join us--your cookies look wonderful! These were tasty! Not to mention oh so easy. Yours look wonderful. Welcome to TWD! Your cookies look perfect! I really liked these as well, I was pleasantly surprised by how cakeish they were! You got such a good photo without using sprinkles, mine looked so bland without the colored sprinkles that I had to go with the colored sprinkles to brighten them up to photo. I like your shot of the broken cookie so that we can see the inside as well. They look wonderful.